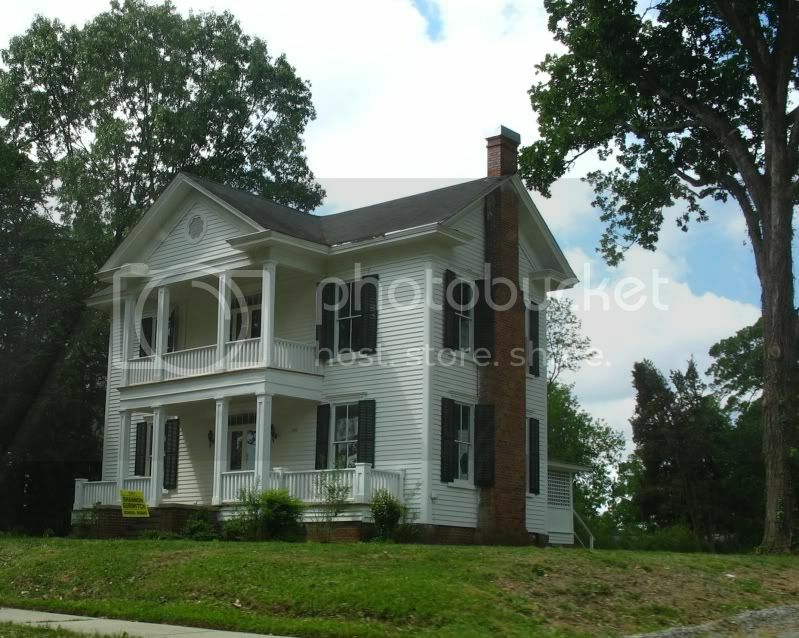 Bill and I went to Sanford, NC for the pottery festival. It was a little under an hour drive there and I enjoyed the scenery as well as the festival. I thought the little train station that we passed looking for the festival had a charm of its own. That's the train station in the shot below. 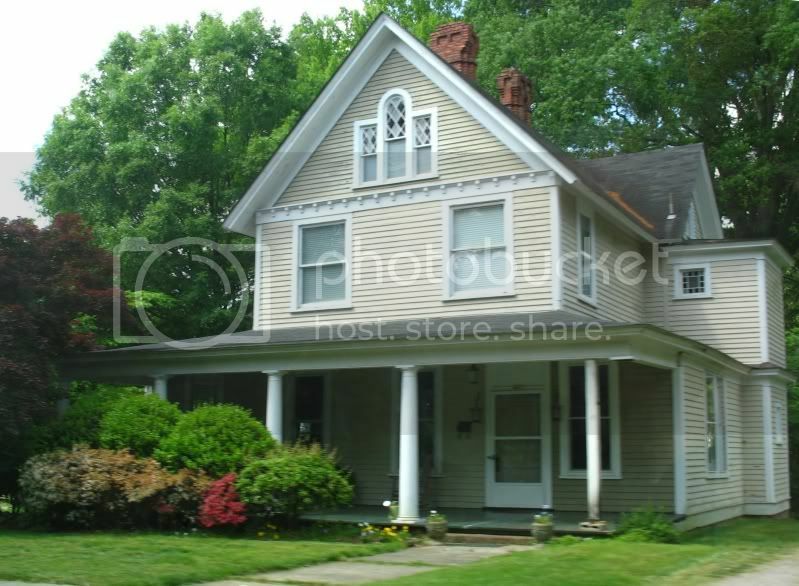 The next couple of shots are of houses we passed while continuing to look for the Sanford Civic Center where the festival took place. I'm not sure when if ever I've gone to Sanford before. It reminded me of other small towns in North Carolina that I've been to. Finally we spotted the festival. 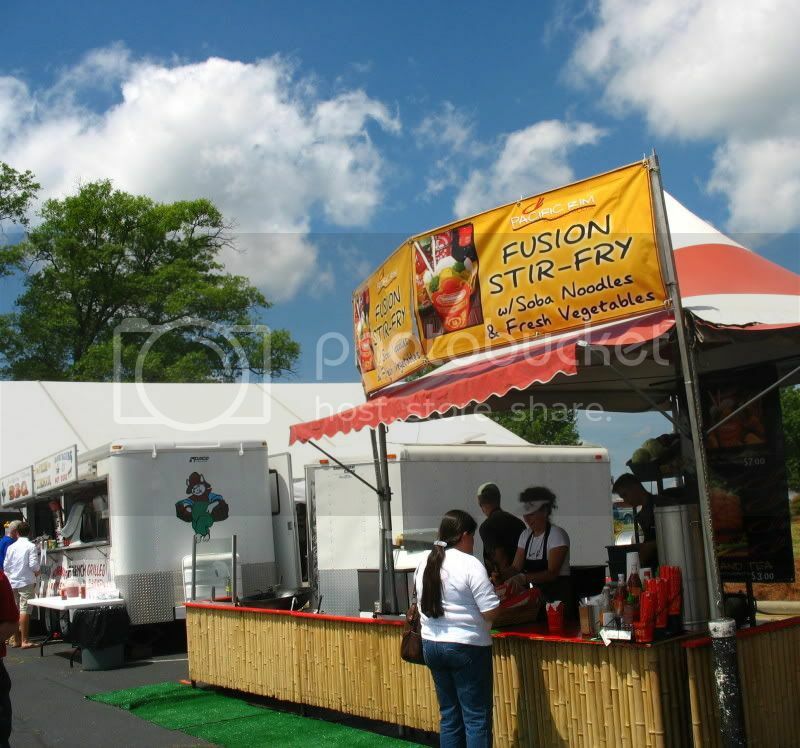 It was quite large with many different booths inside the civic center and also large outdoor tents with booths and concession stands. I want to update my post here and explain about the flags below. I knew the black flag was for missing in action servicemen and women. Groups following our involvement in Vietnam started using that flag in their efforts to locate lost loved ones. What I didn't know is the other flag was the first confederate flag and later others I'm more familiar with were used. If I'd known it was a confederate flag I probably wouldn't have used that shot although the rebel flag is the version I particularly dislike since hate groups use it. I am a North Carolina native and love my state but I am not proud of some parts of my state's history. Let's just say I'd never knowingly post a confederate flag unless it was part of a history post. I'm embarrassed that at first when a commenter mentioned what that flag was, I corrected him because I was associating that flag with the NC state flag. 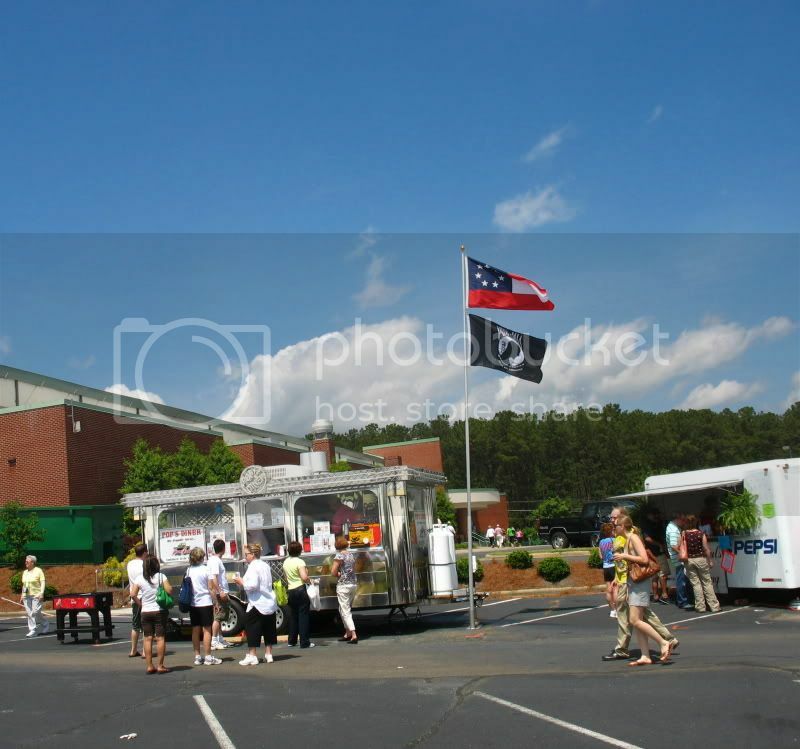 Boy did I feel dumb when I looked it up because the NC stage flag has NC on it, duh. I almost removed this photograph but since it is a part of the state history I'll leave it although I kind of wish they hadn't chosen a confederate flag to fly beside the MIA/POW one. I also dislike how hate groups use the confederate flag. In addition to the North Carolina potters, there were also North Carolina wines and chocolate. We didn't do the wine tasting portion although it looked tempting. I didn't take hardly any photographs inside because I'm shy about shooting around people. I need to be able to get some distance from them. 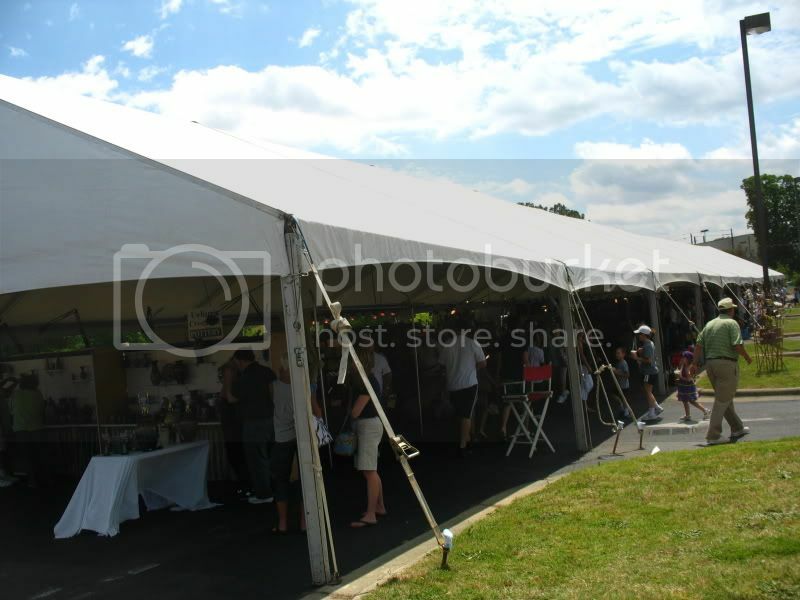 It was too dark to shoot inside the large outdoor tents where some of the booths were set up. 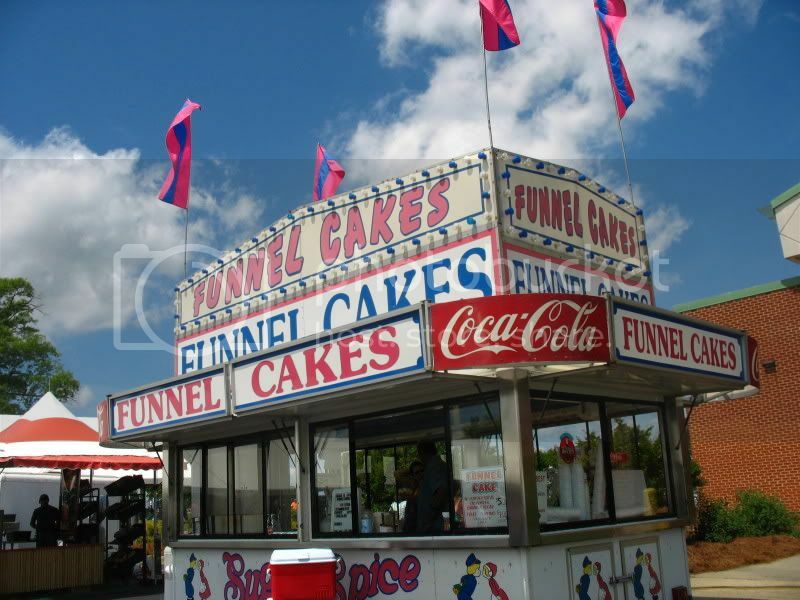 After restraining ourselves from the wine tasting, and fudge booths, we even managed to walk on past the funnel cake, hot dog, and barbecue booths. We ended up picking the stir fry booth for a rather pleasant lunch. 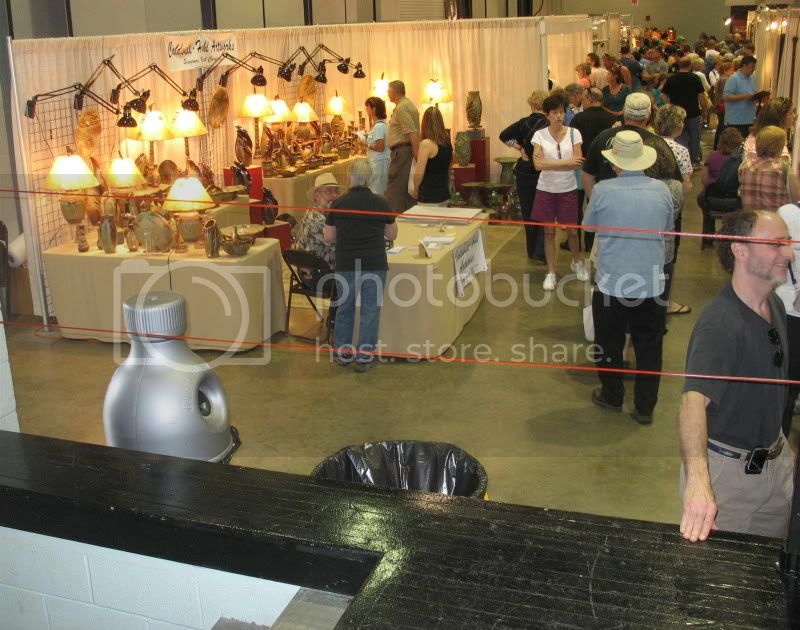 There wasn't even a line for that booth. My main post about Melanoma Monday is on my other blog, Carver's Sight or is that Site. This will be a condensed version. Melanoma is a cancer which most commonly originates in the skin although sometimes originates in other places. Melanoma can attack people from all races and with all skin types. If diagnosed early it has a good prognosis but once it spreads it's very difficult to treat and can be fatal, spreading to anywhere in the body. Try to avoid the sun during the heat of the day, and keep an eye out for skin lesions which change. It's a good idea to get screened for skin cancer. The first Monday in May was designated as Melanoma Monday by the American Academy of Dermatology to promote Melanoma Awareness and sponsors free Skin Cancer screening on this day. For more participants of That's My World, please visit the home site. Thanks a lot for all information about Melanoma, it's really important! Beautiful day, important event and wonderful pictures! Important message and wonderful pictures Carver! And I just LOVE the cartoon..
Are you the designer of that one too? Cool tour of the festival! Sounds like you had a blast. It's been years since I've been to Sanford. The last time was... probably... late 2000? I was meeting someone at the park by the Shearon Harris plant. You'd probably love the park - it'd be your kind of place I think (if you can ignore the elephant in the room that is the giant cooling tower of the nuke plant that is). Somehow I'm not surprised there was no line at the Stir Fry booth. I mean who's gonna eat noodles and shrimp with all that grease and sugar available? Oh, if you're looking for something for next weekend, the Arts Center in Carrboro has a new exhibit(?) opening on Saturday called "Cirque de Artes" (I think I'm spelling it right). Promises to be interesting, if I read it right they're celebrating their anniversary. I can't make the opening - family coming to town next weekend - but if the show runs any length at all I'm hoping to get there before it closes. What a wonderful time you had ... thanks for sharing it and that most important info on Melanoma! Fantastic shots of Stanford. Quite a beautiful place. Melanoma is a horror, and I am glad you are raising my awareness. That looks like a wonderful town. Great event! Thanks for the tour, Carver. And thanks again for the info on melanoma. Thanks for the information about Melanoma, Carver, it is a horror! It does look as though you had a beautiful visit! And what terrific photos! I love them! 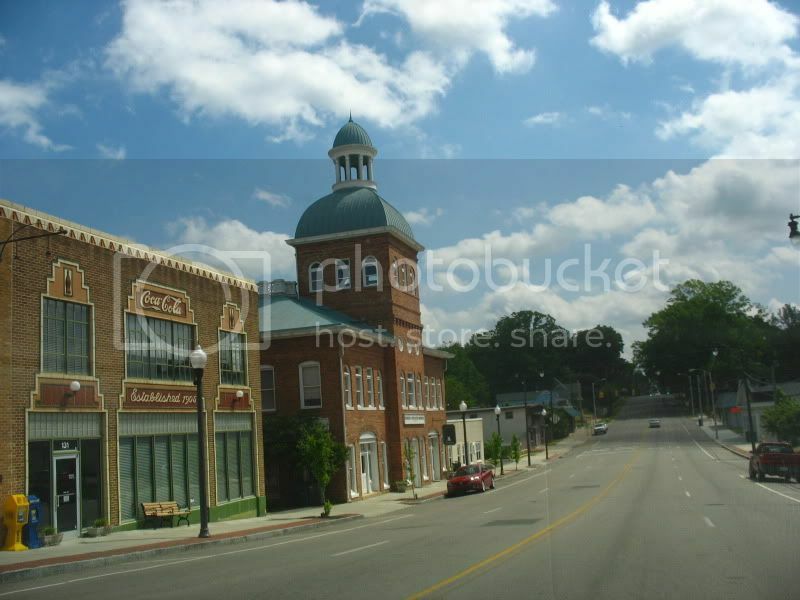 Looks just the way I picture small southern towns, delightful! Hope you have a great week and thanks again for the information! Carver: So nicely shown, what a neat fair. You are my hero Carver - how you managed to walked past those deep fried goodies (yikes) is beyond me. I can get pretty shy about whipping out my point and shoot as well. What a lovely little town this must be...and, thank you for the information about melanoma...it is truly appreciated. The cartoon says it all...so good. A lovely small-town feel and I appreciated the sun-screen message too. Color me jealous - I've always wanted to attend that festival, and never did when we were closer! I'm also jealous of your self restraint. You passed not only the wine but also the chocolate. what a beautiful event, looks like alot of fun, i love the town also, it really feels southern especially with that confederate flag! Carver, it looks like you had a fun day at the Pottery festival. Thanks for the reminder about the melanoma too. And many thanks for the info on Melanoma. Very thoughtful of you to have posted on that. Thanks to everyone for visiting. Someone mentioned that they thought one of the flags was a confederate flag. Actually the flags that were in one photo is the North Carolina State Flag and the Black Flag is the POW missing in action flag. I dislike the confederate flag and would have avoided including that in a post unless it was a history museum of some kind. I guess the North Carolina flag has some similarities to the confederate flag but it's not the same. Thanks for again for commenting and visiting. I commented too soon about the flags. After saying that was the NC state flag I feel dumb because I realized it didn't look right and looked it up and actually it's not the NC flag, and I'm a NC native so I'm embarrassed. It's also not the confederate flag I'm used to seeing and I looked that up and it's not the rebel flag which is the one I really dislike and would have recognized. I'm actually not sure what that one is but I'll try and figure it out. Again, sorry I commented before without checking further. One more comment from me. That is indeed the first official confederate flag. I'm so used to others which are used by hate groups and so I dislike those flags that I didn't even realize that was the first official confederate flag. The flag with the stars in a circle is the one I'm talking about. Now I may end up updating my post with a disclaimer. I am southern and was born and live in North Carolina but I do not like confederate flags. I didn't even know that was one or I wouldn't have posted the shot. 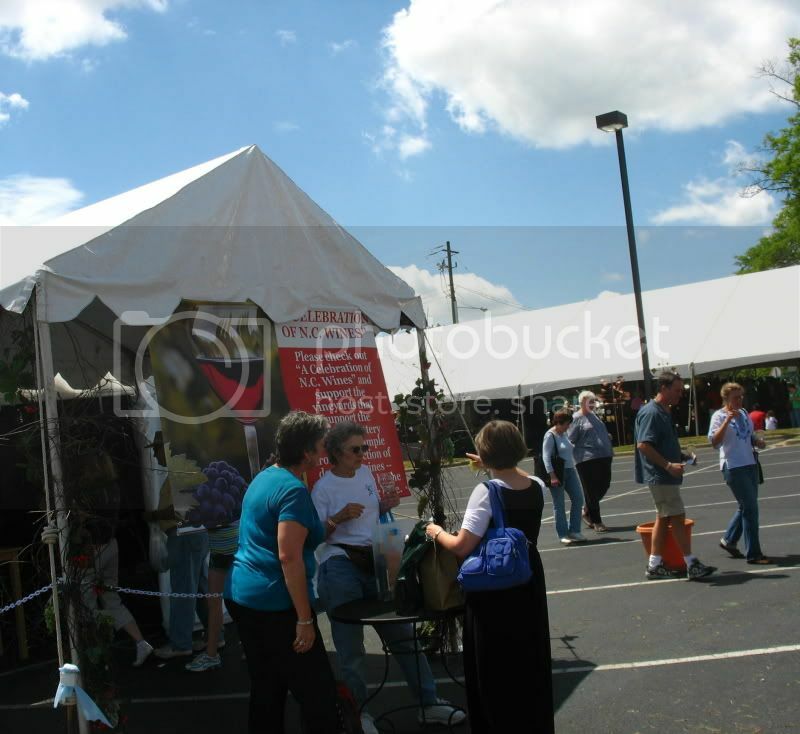 Sanford, NC, looks like a charming town and the pottery festival looks like tons of fun! Very colorful photos; thanks for sharing. A lovely day to be out there at the festival! One of the best part is FOOD! Yay! 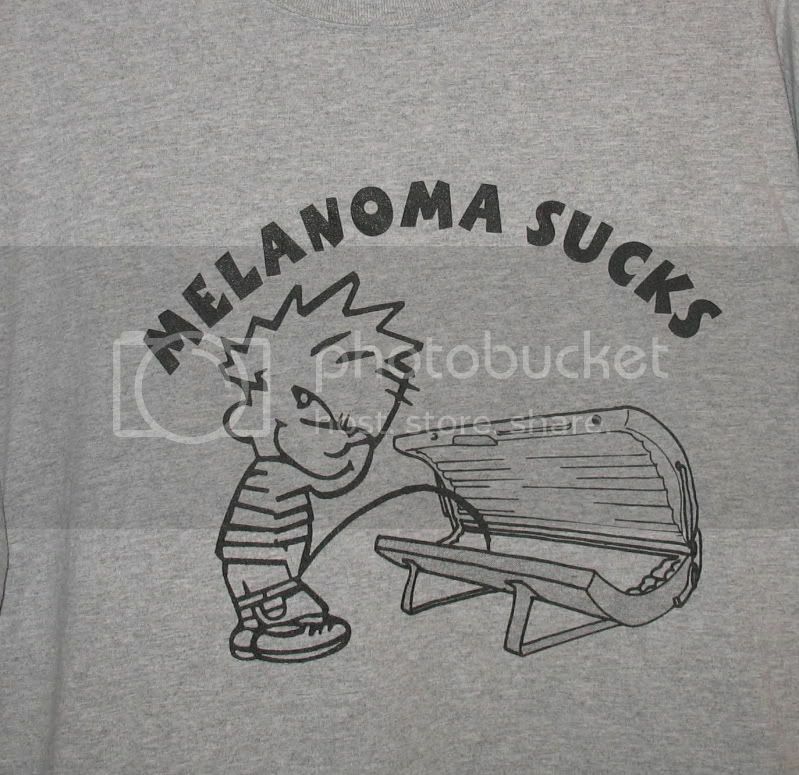 I love that shirt, a very nice way to promote melanoma awareness. very informative and lovely captures. What a cute little town. Love the pics and the info you shared. such charming photos you took! 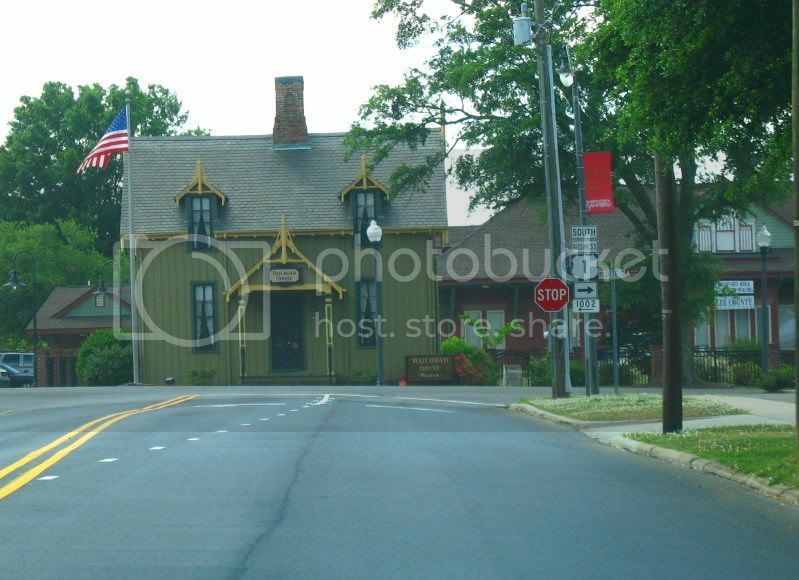 i like the little train station..you're right it's charming. what an attractive town this must be, you took some great shots here. Sunny weather. Great for outdoors. Thanks for sharing this lovely post. Must have been a very enjoyable day. I just recently discovered your blog and am so glad I did. What a sweet post!